If it’s broken, we’ll fix it. 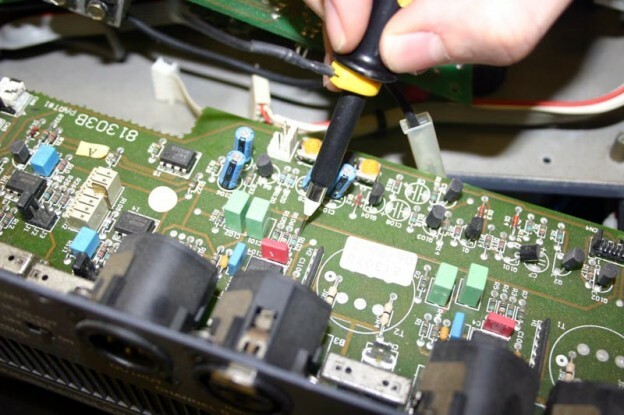 Repairs come in all shapes and sizes and with a qualified team of engineers, LSL have years of expertise to allow us to mend all professional PA sound, light and audio equipment. We have an Online Tracking system so you can keep an eye on your piece of kit as it progresses through our workshop. If you have an item with us you can visit workshop.langley-uk.com with your job number to find out the status of your repair.